Another photo of a chickadee? 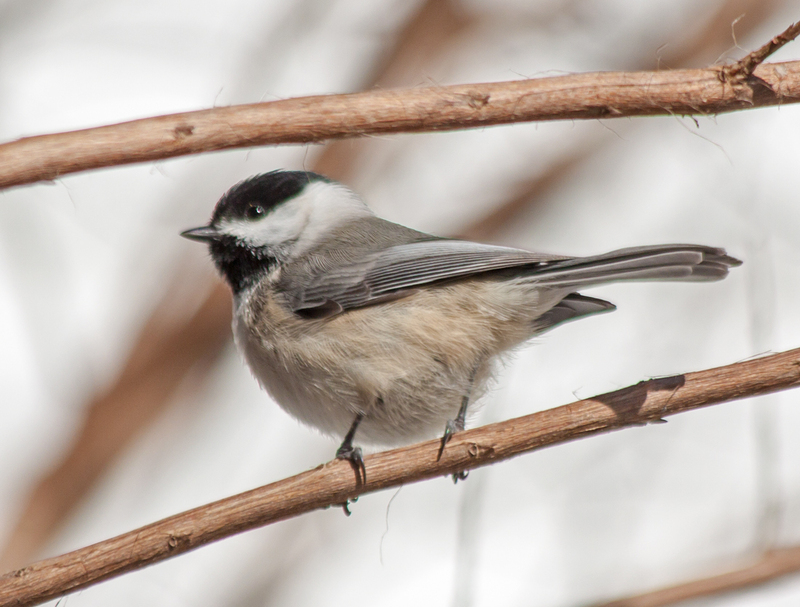 Chickadees are so common that they fade into the background to the point where we no longer notice them. Nobody would travel a great distance to see a Carolina Chickadee (Poecile carolinens) like this one and there were no throngs of curious spectators to ask me what I was photographing. What was the attraction for me? One of my fellow bloggers, Mr. K.A. Brace, a thoughtful and insightful poet who writes in a blog called The Mirror Obscura, posted a poem today entitled “The Brilliance” that really resonated with me. In the poem, he spoke of the “brilliance of the ordinary.” I encourage you to check out this poem and other wonderful poems—one of the cool features of most of the blog postings is that they feature an audio clip of the poet reading the featured poem. “The brilliance of the ordinary”—I love that combination of words. Children (and pets) approach life with boundless curiosity and endless fascination with the most mundane, ordinary aspects of our everyday world. I want to regain more of that childlike sense of wonder.